Thousands of people living in rural Puerto Rico still lacked access to electricity months after Hurricane Maria struck the island. In an effort to aid the recovery, a team of University of Washington engineers and public health scientists haves made two separate visits to assess the long-term impact of Puerto Rico’s power loss on the health of rural residents. 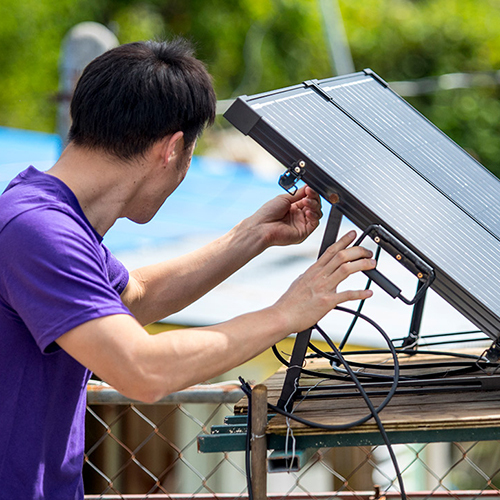 The team, which is led by Lilo Pozzo, associate professor of chemical engineering, has also worked to install solar/battery nanogrid systems, which are prototypes of a sustainable, clean energy infrastructure that can buoy public health in rural areas when power grids fail.